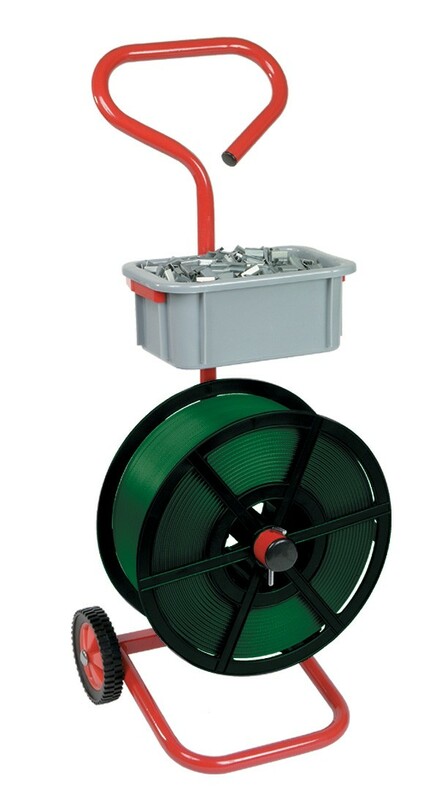 The mobile dispenser for strapping wheels is great for busy business environments. The dispenser features wheels to the bottom that allow it to be moved from one location to another. A large handle allows for a good grip of the dispenser and a plastic seal tote is useful for holding seals and buckles. Made to the highest of standards the mobile dispenser is a strong and reliable piece of kit that will serve you well.